Sometimes I feel like I am alone. Like when I say I like lettuce and peanut butter sandwiches. Or macaroni and milk. No. When I say these things, I feel alone. 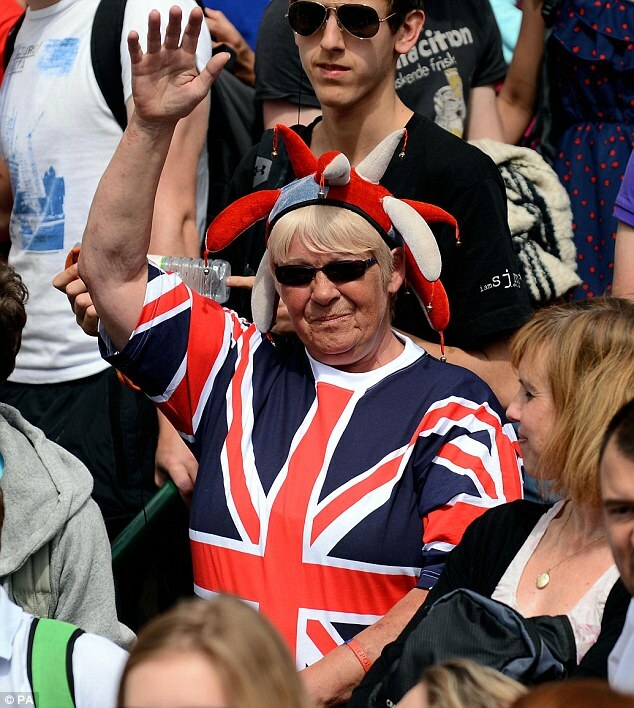 Certainly I know that there are fans of Wimbledon all over the world. I mean, it is a Grand Slam, after all. See. I bet a few of you just thought I was talking about the area in outer London. 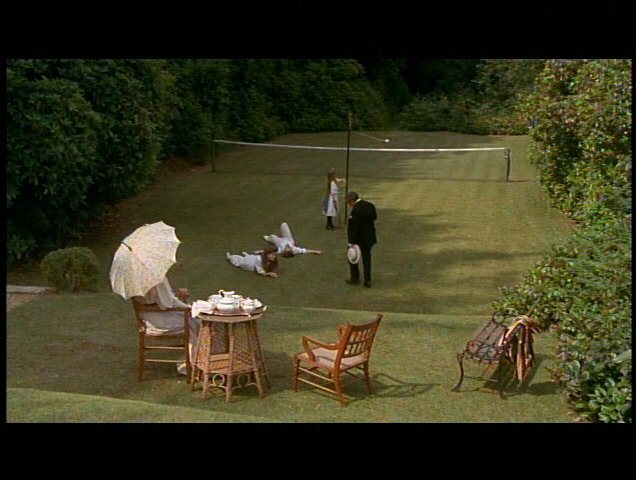 No, Wimbledon is perfectly lovely, but my love is reserved for the Grand Slam tennis tournament –the Championship at Wimbledon. 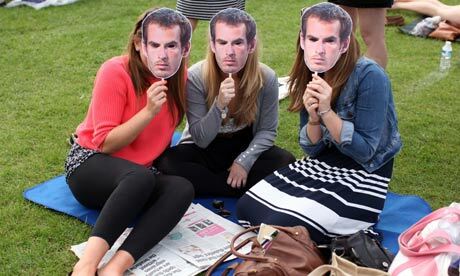 Ok, there have been a few exceptional circumstances when Wimbledon has bubbled up to the American consciousness. Most of you know about events like the epic Nadal-Federer Wimbledon match in 2008, which many have called the best tennis match of all time. And, surely, most of you have some awareness of the record smashing, marathon Isner-Mahut match in 2010, which was a jaw dropping 11 hours, 5 minutes long, and ended with an unfathomable final set score of 70-68. I sense this is not getting your blood up the way it does mine, even if you know what I am talking about. Well, you don’t know what you have been missing. It Is In London. I love London. I have always been a bit of an Anglophile, feeling what is probably some deep, genetic pull to the British Isles. I spent a Senior Year abroad, living in Canterbury, which is a reasonable train ride away from London. I spent a month in London before I started school, and spent many a night/wee morning on the mail train back to Canterbury after a bit of, em, er, well, FUN, in London. Let’s just say I have memories there. My husband and I honeymooned there, too, actually during the championships. We didn’t make it out to Wimbledon or the All England Lawn Tennis and Croquet Club. We were em, er, well, BUSY. Anyway, you get my drift. 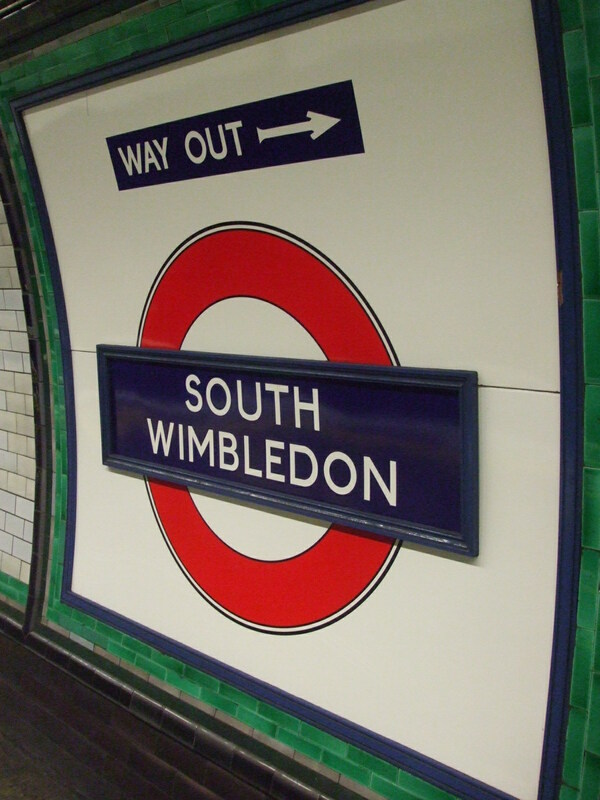 But I love London and feel at home there, so, silly as it seems, I feel that Wimbledon is played in my familiar old backyard. It Is On Grass. Hence the All England LawnTennis and Croquet Club. They play it ON GRASS! Have you ever played tennis on grass? Other than in your own backyard, with your brother, with a warped wooden racquet that you found in the basement? NO! It is a rare and wonderful thing. I love it! I know you picture Miss Honeychurch and George playing tennis in their just post Victorian whites, but this is serious tennis. And on grass! I love how the grass starts out pristine and perfect to a blade at the beginning of the two-week tournament. I love how it is worn and patchy and non-existent at the baseline by the time the championship match is played, and the players can’t do a damn thing about it. It is what it is, and they have to adjust. You just don’t see that much adjusting anymore. They Have To Wear White. Maybe it is the Miss Bossy Pants in me, or maybe it is just that there is something comforting about a world that has rules that everyone has to follow, even if once in a while the rules don’t make any sense, but I LOVE that EVERYONE has to wear white. Let me be clear. I am glad that none of the other tournaments have this rule. I am in favor of self expression and fashion and freedom in all ways, including on the tennis court (except for Andre Agassi in the acid-wash short, shorts and the mullet — that should have been banned EVERYWHERE). But I absolutely love that, regardless of ranking or sponsor, all of the players have to wear white. It is good for them. 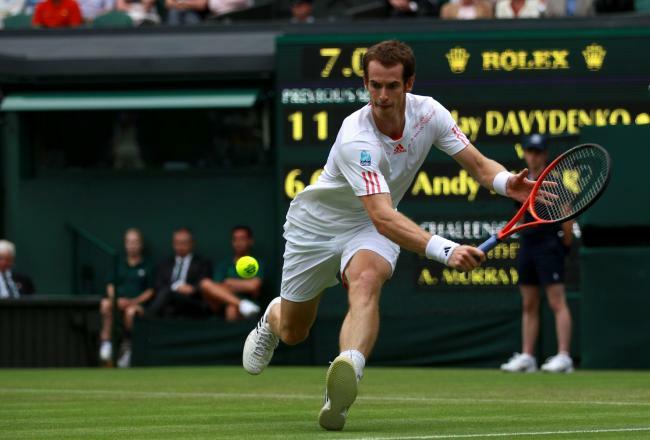 The All England Club requires it of the players. If they do not want to wear white, than they can take their play elsewhere, thank-you-very-much. This year, they even made Victoria Azarenka, the number two seed in the women’s draw, change from a yellow t-shirt to a white shirt while she was on the practice court preparing to play Serena Williams. So sorry, Ms. Azaranka, but rules is rules. Love it. The best part is that, not only do I picture these megarich professional tennis players having to follow these rules, but I imagine corporate giants Nike and Adiddas wringing their hands, saying “Drat! Nobody will rush out to by a duplicate of the PLAIN WHITE SHIRT that Roger Federer wore when he won the championship.” Take that, corporate giants Nike and Addidas. 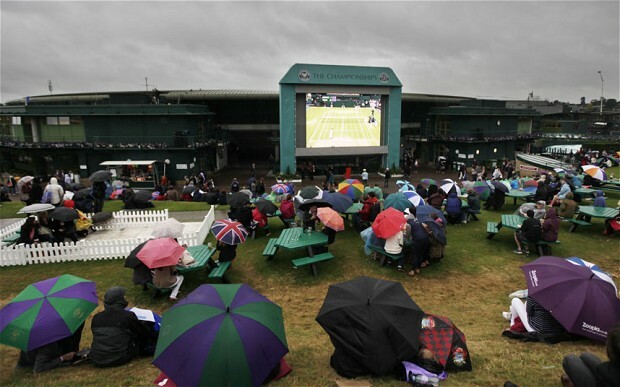 Rules is rules at the All England Lawn Tennis and Croquet Club. The Tennis. I really, really love watching tennis. It truly is a man to man or woman to woman battle. There really aren’t that many other one on one sports (other than boxing etc.) that involve an individual duking it out with another individual. It can be unbelievably dramatic to watch two of the best in the world battle it out over a period of hours, one point at a time. In a close match, it can be absolutely riveting. One player can be running away with a match and then, one or two pivotal points can shift the momentum, and suddenly you have a whole new match. And, as in all Grand Slams, the men play the best of five sets. Oh, the potential for drama. And on grass, the ball moves fast but bounces less high. This results in some of the most incredible shot making. It is just the best. The Royal Box. First of all, there is a Royal Box. Seriously, how cool is that? Secondly, sometimes there are actually royals in there! 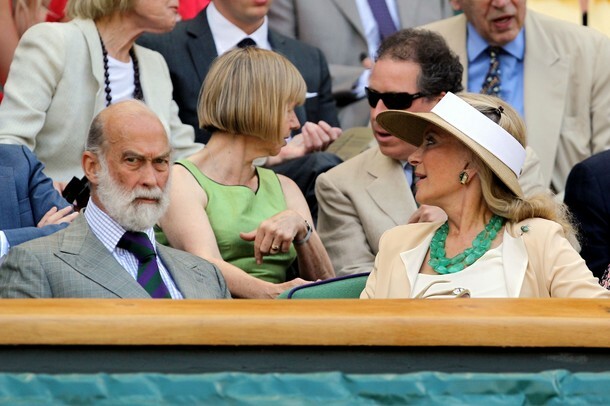 Ok, sometimes it is Princess Michael of Kent (yawn). But sometimes it is Prince Charles, and once in a great while, for a small portion of a match, THE QUEEN. And now, of course …KATE MIDDLETON. Love! P.S. 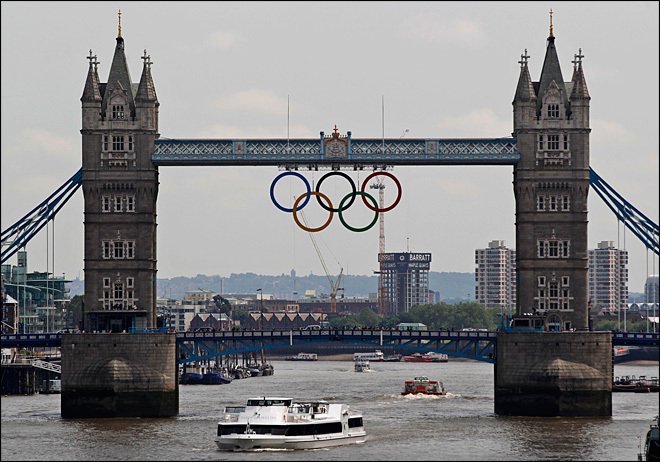 Don’t get me started on the London Olympics. I have never watched a tennis match and don’t understand anything about the scoring. I’ve never played the sport so I don’t have a clue. I can comment on the peanut butter and lettuce sandwich because I like them too, but gotta give you a thumbs down on the macaroni and milk.